The K-Jane display head by Tech Lighting combines design simplicity with practical technology. 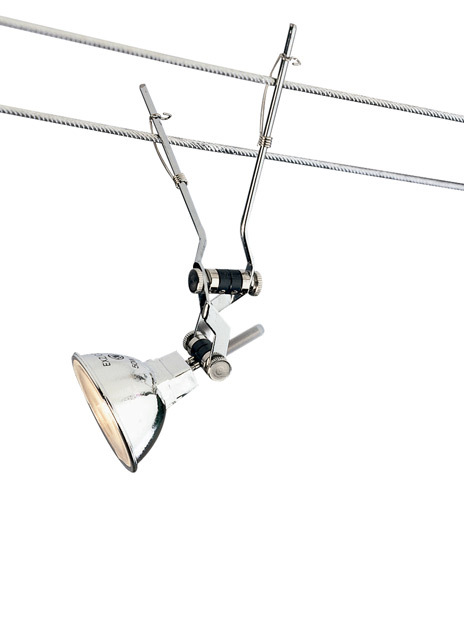 This highly-functional display head pivots 220° on two axes and drops 1” below the Kable Lite system providing an even greater light distribution onto surfaces below. The K-Jane head is available in two on-trend finishes and can be customized to hang at four distinct stem lengths. This low-voltage display head is ideal for commercial lighting applications such as retail stores, libraries and galleries. The K-Jane ships with an integrated lens holder to accommodate a fully dimmable MR16 lamp (sold separately). For cable separations of up to twice the length. Field-cuttable. Low-voltage, MR16 lamp of up to 75 watts (not included). For Kable Lite system only. Length -- Choose -- 5" 12" 24"